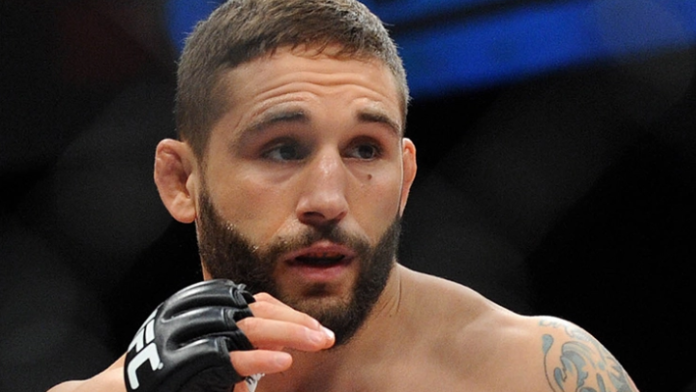 Chad Mendes is eyeing fights that make the most sense to him. Mendes made his return to the Octagon for the first time since Dec. 2015 when he took on Myles Jury. Mendes didn’t miss a step, finishing Jury via TKO in the opening frame. Earlier in the night, “Money” was called out by Alexander Volkanovski. While Mendes thinks it’s a favorable match-up, he wants higher ranked competition. Ahead of Mendes on the UFC featherweight rankings are Renato Moicano, Frankie Edgar, Jose Aldo, Brian Ortega, and of course the champion Max Holloway. That leaves Mendes at the number five position. Who should Chad Mendes be matched up with next?